Welcome to 2011. The joy, merriment and holiday cheer is gone for now and it's a new year, full of potential, excitement and empty resolutions we will inevitably fail to keep. But let's not forget the best part of the new year – new gear! 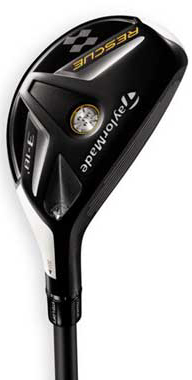 Just in from Carlsbad – the latest products from TaylorMade, starting with the new R11 series. Buy R11 Driver Now! 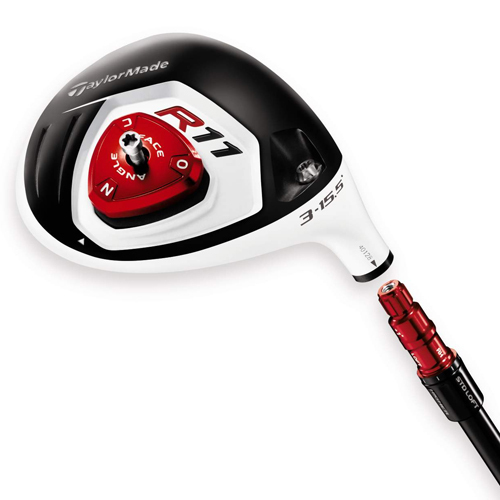 Buy R11 TP Driver Now! In 2004, TaylorMade pioneered adjustability with the R7® quad, incorporating the then revolutionary Movable Weight Technology™ (MWT®), putting CG control in the hands of golfers to promote different types of ball flight. The partially adjustable driver brought straighter flight for multiple swing types and this was the start of numerous offerings with MWT from woods to rescues and even putters. With each subsequent R7 driver we saw a significant boost in performance over the last, including the R7 Limited, which boasted 35 yards of side-to-side change in trajectory. 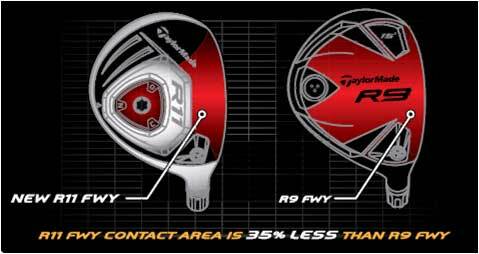 The next revolution warranted its own line, and the R9 was born when TaylorMade introduced for the first time, Flight Control Technology (FCT®) giving golfers eight different options for face angle, loft and lie angle. 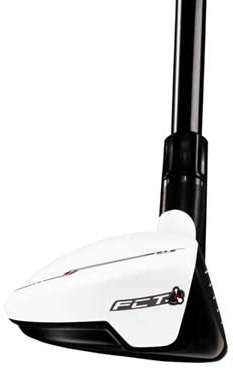 FCT's eight options and MWT's three options meant twenty-four potential settings on your driver and the first fully adjustable driver. 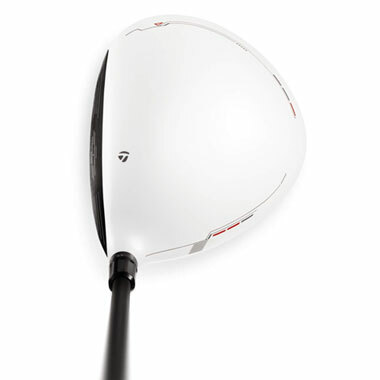 The TaylorMade R11 Driver adds the latest technology and of course, a cool new acronym. Adjustable Sole Plate Technology (ASP®) adds a dedicated function for adjusting the face angle, creating what TaylorMade is calling "The 3 Dimensions of Distance" corresponding to the three technologies working together. Dimension 3: Flight Path (MWT) – Promote a fade with heavier weight in the toe, lighter weight in the heel. Promote a draw with lighter weight in toe, heavier weight in heel. At first glance, you can see that this is not an understated look but we know the folks at TaylorMade did not just have style in mind here. 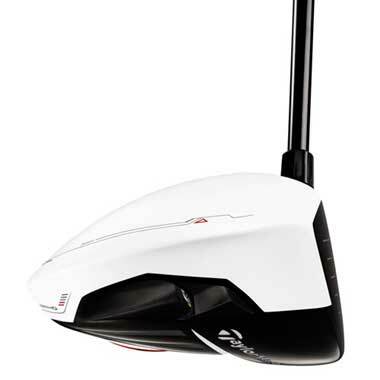 You can count on improved aerodynamics and a slight increase in club head speed too. You'll also notice that this is quite a departure from its R Series predecessors with the white "ghost" style that has generated the most pre-launch buzz. The white crown is made from non-glare material, so no distracting shiny gloss finish and it still includes the familiar logo alignment aid. The second noticeable aesthetic design feature is the black clubface and this is said to make alignment easier. But didn't we just point out that the alignment aid was on the crown? Tour and skilled players often prefer to use the face of the driver for alignment and the black finish seems to make this easier. Buy R11 Fairway Now! Buy R11 TP Fairway Now! 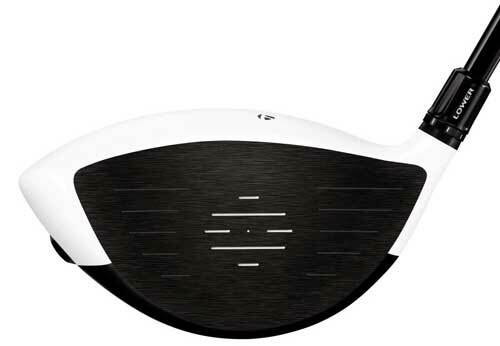 As expected, the fairway woods mirror the driver's design with a few differences. You get the new ASP and the loft adjustment with FCT, but no movable weights. You get up to 60 yards of side-to-side trajectory and you still get the ±1,000 RPM backspin adjustability. One nice feature of the fairway wood is the reduced sole area, designed for less turf resistance at impact. The fairway contact area is 35% less than that of the R9. This should translate into fewer fat shots and more consistent flight off the deck. The new rescues include FCT with ±4° face angle change, ±2° loft change, ±2° lie angle change and ±1,000 RPM spin change. This year, a deeper face and lower CG should help with launch and again you are getting the white non-glare crown and black clubface. Picture these new hybrids next to your old 3 and 4 irons. These distant cousins would hardly recognize each other today. So basically, what are we looking at here for players in 2011? For all the amateurs, don’t forget that no club can solve all your problems and no equipment to date will cure bad technique. However, what TaylorMade seems to have done once again is introduce even more adjustability and versatility into their product, meaning more options for you to fit your club to your game and to continue making adjustments as you improve and as you inevitably go through the ebbs and flows of the season. And while we can obviously also expect minimal to moderate positive changes in distance and control; versatility, adjustability and style are really what make R11 stand out. As far as the pros go, initial feedback from performance testing has been overwhelmingly positive and it will certainly be interesting to see how the R11 performs on tour, not to mention the fun of seeing around forty of them rocking these white-headed drivers at the 2011 Farmers Insurance Open in San Diego. And I’m sure we can all anticipate an off-the-wall albino driver comment from Feherty.